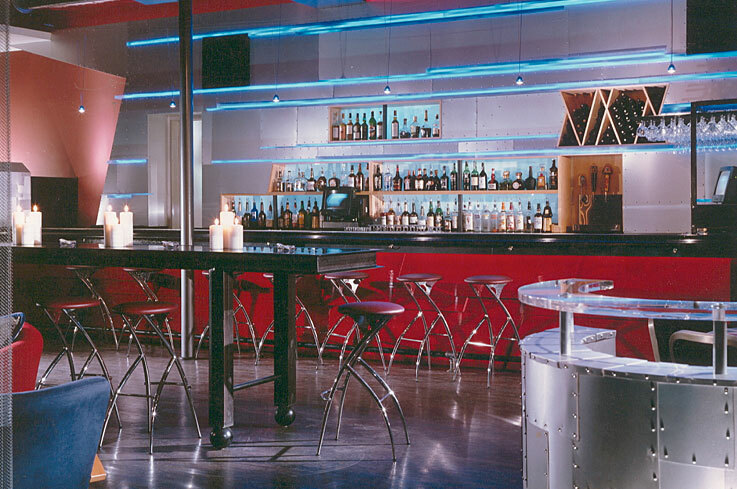 The focal point of this ultra lounge is the large bar. Designed in response to the name, the riveted aluminum wing-like backbar is sliced by a series of color-changing translucent stripes implying motion and speed. The asymmetrical barstools were also selected for their sense of motion. The entry area is screened by a coiled stainless steel curtain. 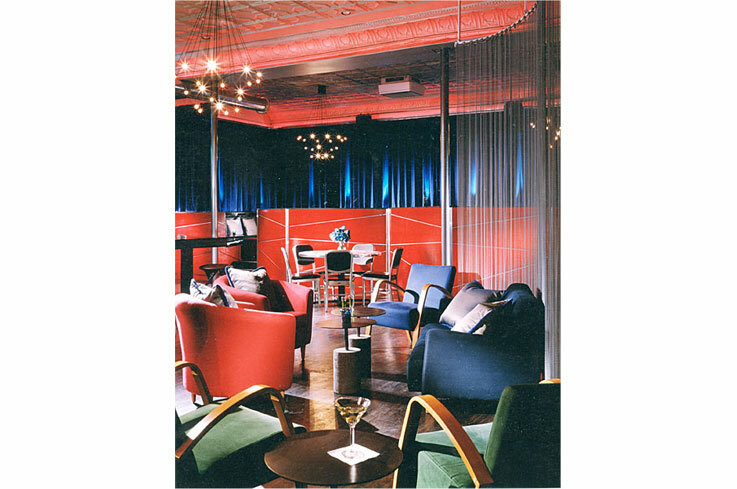 The raised VIP area is surrounded by an uplit blue velvet curtain. Original pressed tin ceilings were accentuated with a new light cove. 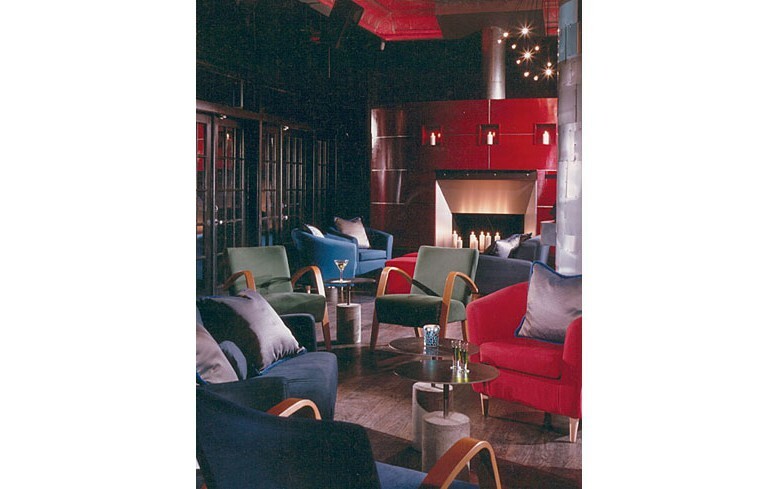 Lounge seating and cocktail tables are easily movable to accommodate any size group. The fireplace is sheathed in red aniline stained maple panels and aluminum.